Ball drop with chevron design. 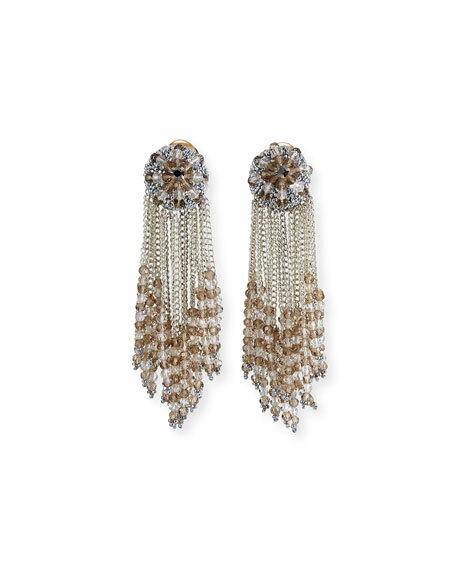 Oscar de la Renta chain cluster beaded earrings. Silvertone brass hardware with steel chains. Glass stones form posts and dangles. Approx. 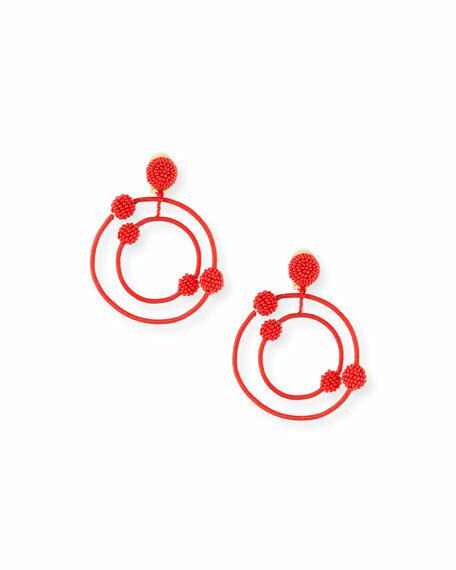 3"L drop; 0.8"W. Clip-on backs. Imported. 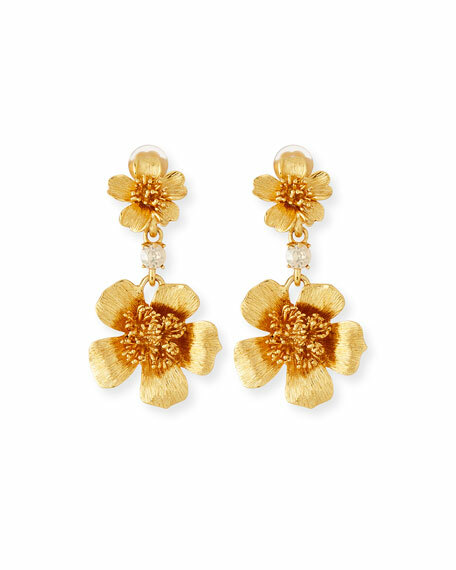 Oscar de la Renta delicate flower drop earrings. 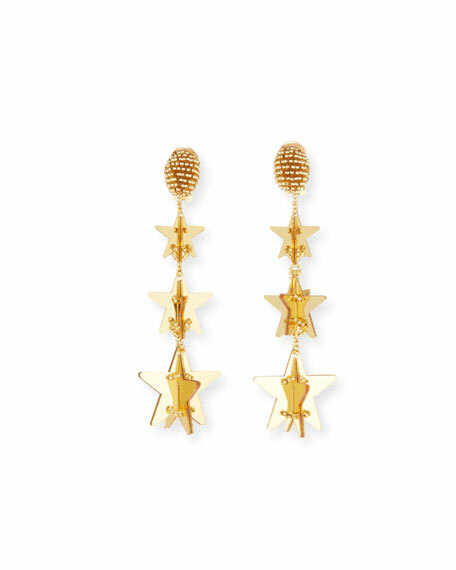 Golden pewter flower drops with textured petals. Stemmed centers and crystal glass accents. Approx. 2.5"L drop; 1.3"W. Clip-on backs. Made in USA.